The Riverside No Gap Dental team is a thriving and committed team of General Dentists, Oral Health Therapists and Hygienists who work in tandem to offer our patients the highest quality of care. We provide an unrivalled service through our experience, respect and care for our patients focusing on spending quality time on your treatment. 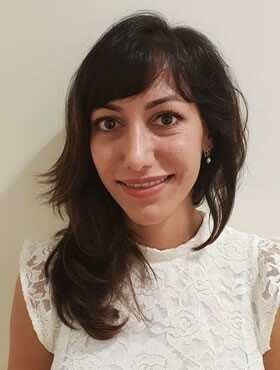 Dr Penny Shafiee grew up in Vancouver, Canada and worked for over three years as a dental hygienist before pursuing a degree in dental surgery at James Cook University. 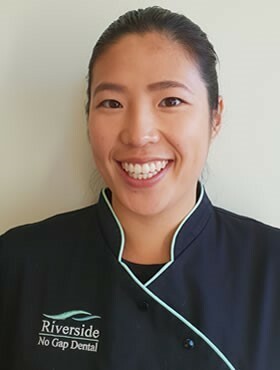 Penny gained experience working full time as a student dentist in Hobart and Townsville while providing service to patients of all ages with various dental needs. Although enjoying all aspects of general dentistry, Penny has a special interest in preventive, aesthetics, and periodontics. Penny believes in providing the highest level of quality care and uses a patient centred approach when treatment planning. Dr Shafiee, fluent in English and Farsi, enjoys travelling and immersing herself in other cultures. In her spare time, Penny enjoys staying active and looks forward to spending weekends discovering all the local treasures Tasmania has to offer. An animal lover and owner of a Cavoodle, Penny always delights in hearing other’s stories of their pets. 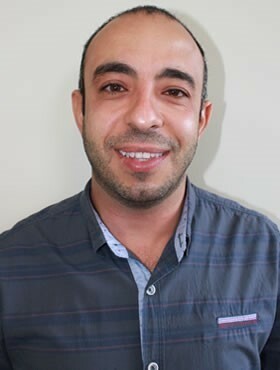 Dr Jacob graduated from James Cook University, QLD with a Bachelor of Dental Surgery. Dr Jacob also completed a Bachelor Degree in Veterinary Medicine, Cairo University (Egypt) in 2003..
Dr Jacob believes in the importance of patient education to ensure patient’s oral and general healthcare optimally maintained. Dr Jacob enjoys providing most aspects of general dentistry with particular interest in implant dentistry. 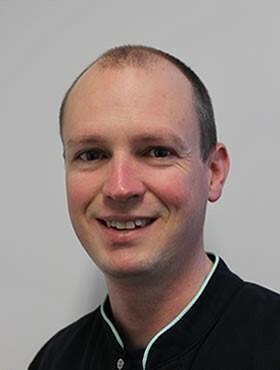 Dr Richard Jack joined our Practice in September 2017. He graduated from the University of Adelaide in 2008 and brings with him his vast experiences from working privately and publicly in Auckland and Hobart before settling in Launceston with his young family. Richard has a keen interest in a wide range of restorative and cosmetic dental treatments. He’s always looking to acquire new skills to meet his patients needs. Outside of work Richard attempts to play golf, attempts to play guitar, attempts to brew beer and attempts to raise his daughter. Dr Jenny (Yan Xuan) Zhuo graduated with a Bachelor of Health Sciences in Dentistry and Master of Dentistry from La Trobe University, Bendigo. 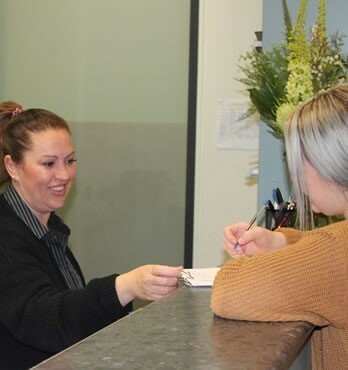 During her studies and after graduation, she has worked in various Victorian public clinics and in outreach settings providing care to people of all ages and backgrounds before relocating to Launceston. Jenny is committed to helping patients enjoy their dental visits by ensuring each patient has a good understanding of their own oral health. Her attention to detail is evident in all aspects of her dentistry which begins with creating a personalised treatment plan to suit your individual needs. 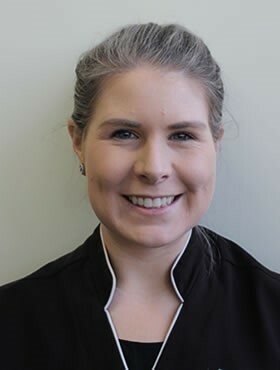 Outside of dentistry, Jenny enjoys playing hockey, eating good food and listening to live music. .
Lauren Oldham BOHSc (Bendigo) is an Oral Health Therapist who graduated in 2013 after completing her Bachelor of Oral Health Science at La Trobe University in Bendigo Victoria. As an Oral Health Therapist Lauren is qualified in both the disciplines of dental therapy and dental hygiene. Her main role is in the prevention and treatment of dental decay and gum disease. Lauren grew up on the east coast of Tasmania before returning to Launceston after completing her degree. Lauren is a keen traveller and enjoys spending time at the beach in her spare time. Enjoy the courteous and professional way our support staff at Riverside No Gap Dental takes care of you, from the moment you walk in the door until the moment you leave. At the core of Riverside No Gap Dental is our highly skilled support staff. Each of them shares a common vision and a dedication to providing world class dental care. Our support team are well trained and highly skilled in all aspects of family, general and cosmetic dentistry. Our dentists talk with you and provide a treatment plan and estimate for cosmetic and complex work. We have payment plans available so please enquire with one of our friendly staff at the reception desk.